If you have watched the movie Coraline Jones then you know exactly what the tittle means. 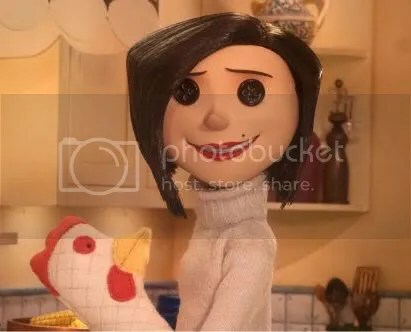 From the word itself, she is Coraline Jones’ “Other Mother”. Other Mother is living in the Other World, a place that every kid dreamed of. Everything seems to be perfect but the only way to stay in that world is to sew buttons in your eyes. How’s that sound? Every kid wants a perfect house and family. They always feel bad when their parents don’t give what they want or think that parents don’t love them anymore. Kids will search for a better family and this is the time when Other Mother will come out in the story. In the real world, Other Mother can be in the form of friends and vices. You thought that everything’s okay because you are enjoying it a lot not knowing that it is taking you away from your family little by little. You can stay in the Other World which you think is perfect but face the fact that you will never gonna find your way back to your real family. We always want a perfect life not knowing that a perfect life can only be achieved through imperfections.